Nimanty & Solarsoul, Hollan Holmes, Pete Farn, Fanger & Schönewälder, Alpha Wave Movement and more. This show was 28th in the global ambient chart and 36th in the global chillout chart. 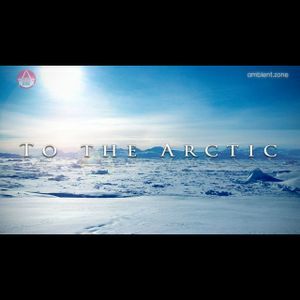 The soundtrack for a trip to the Arctic... the flight, the arrival, the survival, the atmosphere. Ambient music that really reflects the landscape, the glaciers, the wetland, the rivers. You can feel and breathe the air! This non-stop mix includes tracks by Biosphere, Hollan Holmes, Alpha Wave Movement, Loscil and more. Nice mix TC. This track [First Contact] reminds me of a live concert on a beach by T.O.N.T.O. back in the day. Ah happy daze! I found the track list I needed. Thanks. Yeah, that&apos;s the oil in my machine, blood in my heart! Thanks TC for this timeless peace! SOOOOOOOOOOO DAMN GOOOOOOOOOD!!!! Thanks TC!! Listening to it while at work has made the morning so much easier! I am relaxed, thoroughly chilled and ready to take on thday! Love it! Can I get a track/artist/album listing for this one or is on the website? Say that again via Twitter?